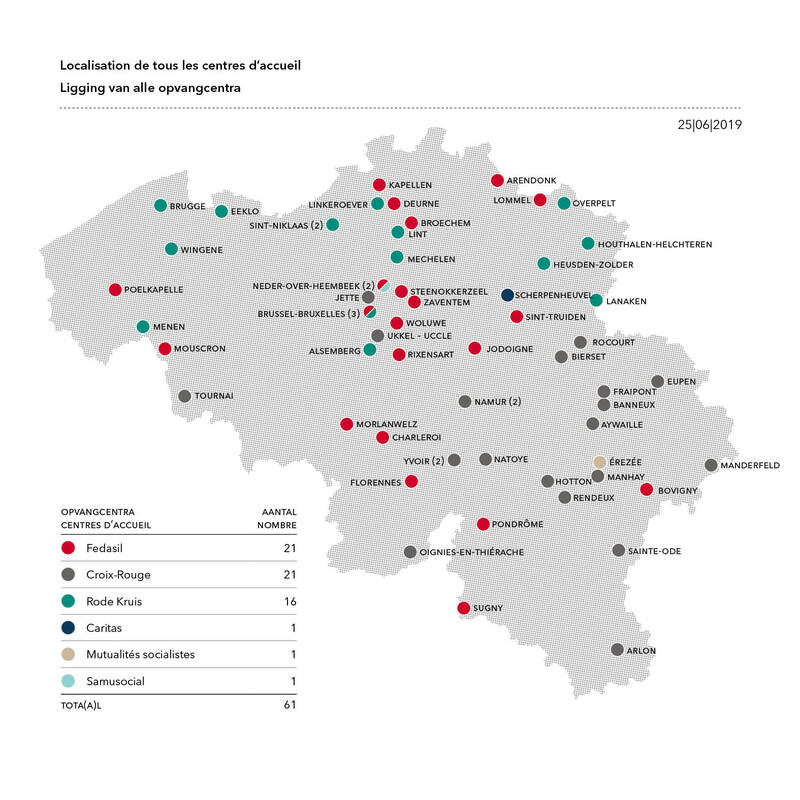 Belgium has about 60 reception centres, accounting for 2/3 of the capacity of the total reception network. In addition to the 20 federal centres managed by Fedasil, there are reception centres managed by partners. The remaining places are in individual houses, organized by the local municipalities or NGOs. The reception centres of Fedasil each have their own web page that you can access from the French or Dutch version of our website.